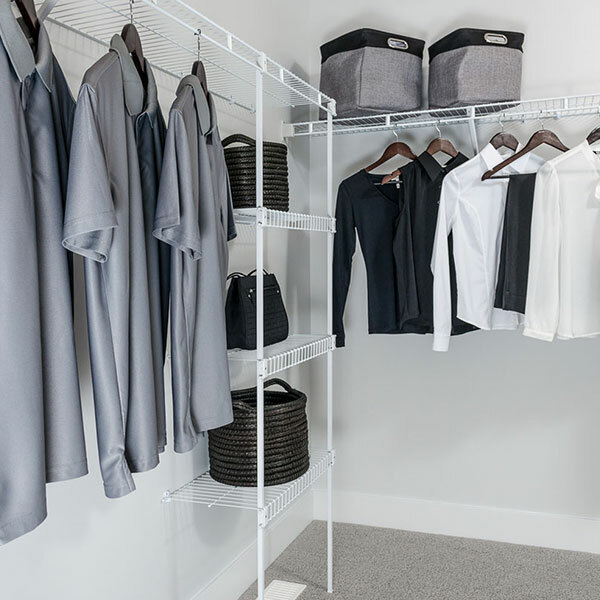 Whether it be in the bathroom, closets, pantry, basement or in the garage, Glass World’s wire shelving will not only help you store your items but look aesthetically pleasing at the same time. 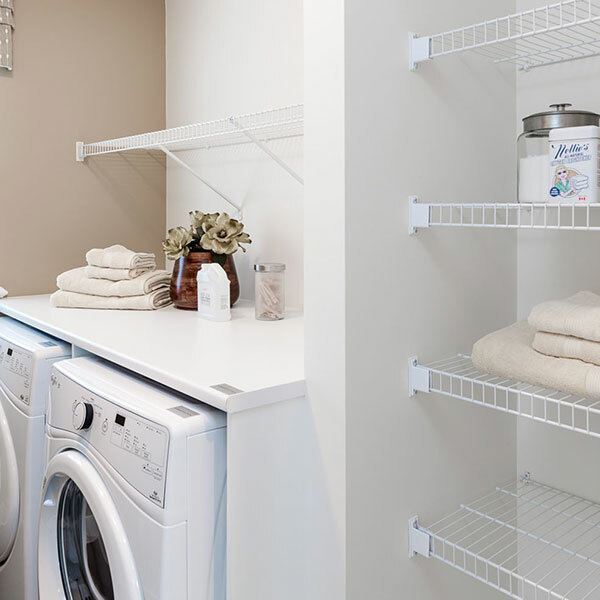 Professionally installed, our white epoxy-coated wire shelving is suitable for all applications. Our basic sturdy shelving. It can be used in any room. 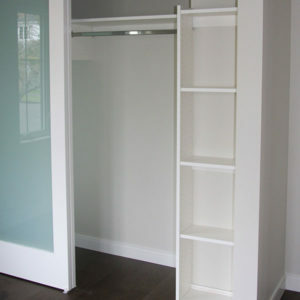 With 12″ of hanger glide, Glass World’s wardrobe shelving is the economical closet solution. 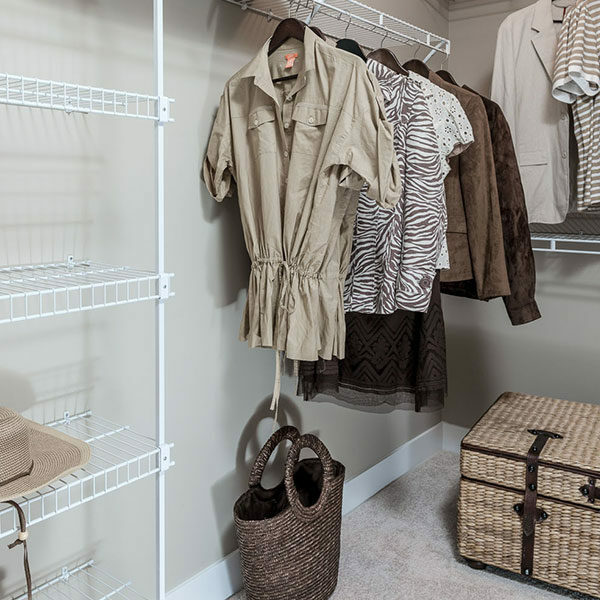 Our freeslide shelving features one-piece construction that allows hangers to move freely and continuously. Also makes installation quick and easy! 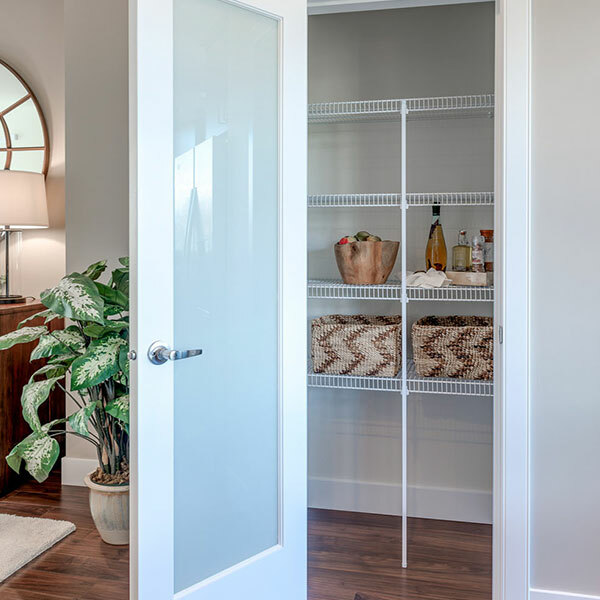 Perfect for storing small pantry items, Glass World’s tightmesh shelving features deck wires that are almost twice as close as other shelving styles.